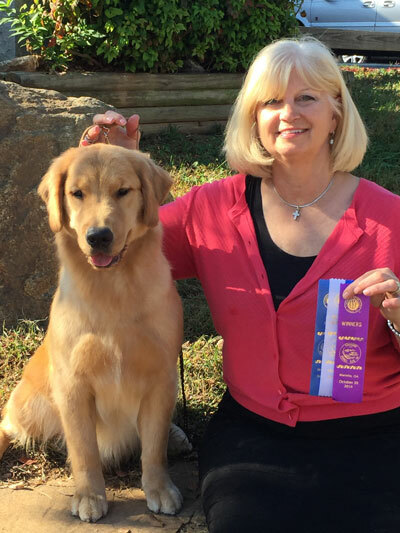 Joy was WB/BOW her very first time in the ring from the 9-12 class. 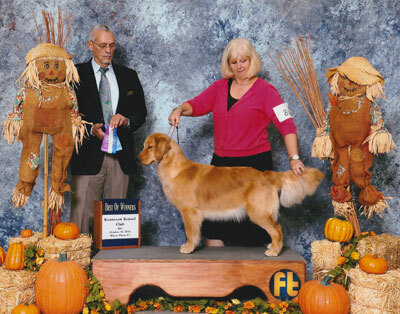 She has subsequently picked up 2 more wins while out with her handler. 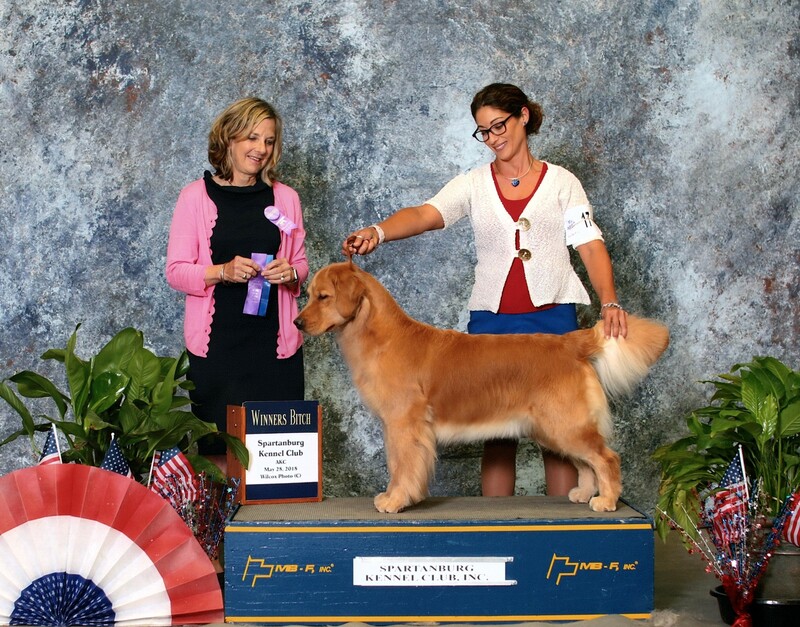 We are waiting for her to grow up a little before she finishes her championship. 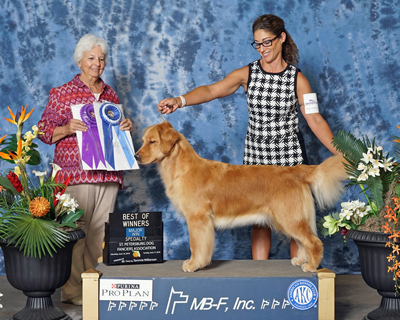 6/16/2018 Joy won the Florida Gulf Coast Golden Retriever Specialty for a 4 point major!!! 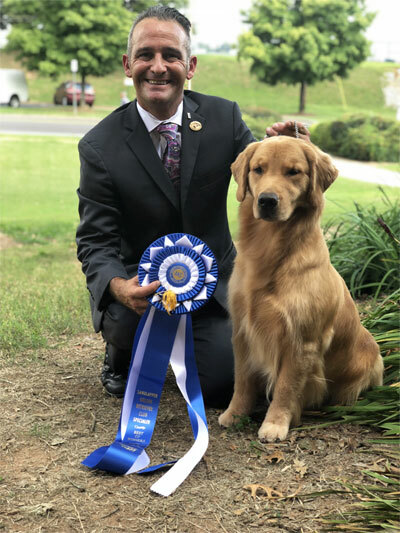 7/28/2018 Joy wins the Sandlapper Golden Retriever Specialty for a 5 point major!!! 7/29/2018 Joy goes WB/BOW for back to back 5 point majors to become a CHAMPION!! !